First, we need to answer the question of why someone would want to be a freelancer in the first place. Well, it seems that it is a good gig at first; you are your own boss, you organize your time as you like, and you can go on a vacation when you please. However, there are some drawbacks, you do not have a constant flow of work, since it all depends on how many clients you manage to get. You must pay your own pension funds and insurances, and you won’t have any co-workers to talk to or argue with. 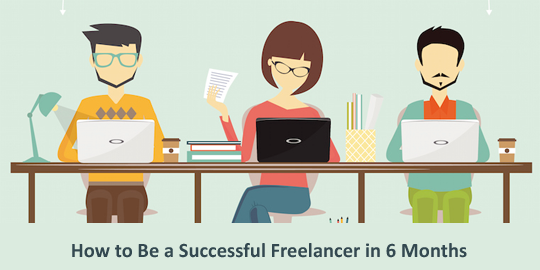 One advantage of freelancing is that you do not need any prior work experience to become one, you simply start to work and figure out how to become a successful Freelancer. When you graduate you enter the stage in which you want a job, but a potential employer wants to know what your prior experience is. So, as a freelancer you have the opportunity to build your portfolio and have some sort of income at the same time. If you want to be a freelancer and be good at it, then try following some of these tips, they will help you build your portfolio and get more jobs in the process. Also, in the event you want to apply for a job in the future, you’ll be viewed as a more valuable asset. 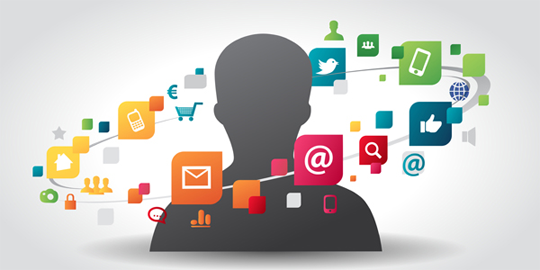 Before you start working as freelancer, you are going to need to work on your online presence. In other words, you will need to become more influential on social networks, you will need to open your accounts on a few blogs, and if possible, you can create your own website, and work on boosting its authority. Find blogs where you can write about things you are interested in and areas in which you can offer valuable insight. If you don’t want to be a freelance writer, you can be designer, or photographer, or even a programmer. Regardless of your choice, you need to find websites that allow you to display your work. Other users can give you feedback, you can use that as an online portfolio, and you can even become an influencer. Do not neglect to boost your social network profiles, you can use numerous online tools to help you get more followers, connections or friends, since these numbers will come in handy later. Try to boost your Facebook, your Twitter, Pinterest, LinkedIn and Google+. You need to share your posts there, and you can offer to boost your future clients’ posts on your networks. Once you have your own portfolio, you’ll be ready to tackle job platforms. You can start with Upwork account since it is one of the biggest job platforms, alternatively you can create a Craigslist account. Take screenshots and use links that lead to your blog accounts and your social networks, so that potential employers can get to know you. These platforms usually have tests you can complete to boost your rating and credibility, so it would be wise to complete them and display your results. During your initial phase, you might need to do a few of those low paying jobs in order to get enough positive reviews. Once you have a lot of completed jobs on your name and a good success rate, you can start charging more for your services. If you are not comfortable earning money on job platforms fear not, there are other ways to be a successful freelancer online. All you need to do is be a good writer, and a good researcher. Basically, you write content for websites that have paid contributor program, however rest assured that your written content needs to be on an advanced level. There are numerous sites you can use to get paid, Listverse, Cracked, Pennyhoarder, etc. They want unique material or what is known as 10X content. This means that you will need to write something that is not yet published, and your sources need to be credible. You need to use online material, but you need to round it up in a unique way. Like 10 websites you can trust for this or that, or you can write about new trends, top X gadgets you never knew existed. It needs to have a catchy title and it needs to offer helpful tips. Most of these sites have specific instructions related to the style of writing. This is not hard to follow, but coming up with content is what’s difficult. The good news is you can get up to $150 for a published piece. So, if you manage to have your writing approved 4-5 times a month you’ll be able to make significant amount of cash. Additionally, these are high domain sites, and having your work published there will make fine addition to your portfolio if you decide to be a freelancer on job platforms at the same time. 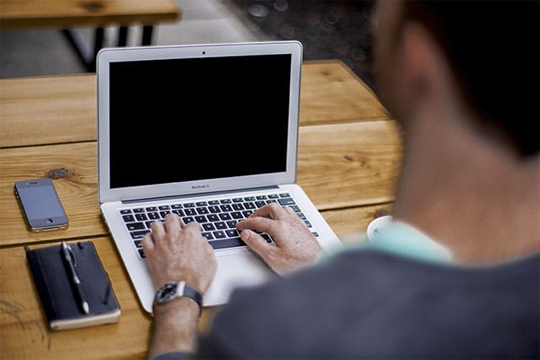 To sum up, freelancing can be a necessity in some cases and it can be a good learning experience. Just stay diligent and work hard, and you’ll be able to become an above-average job candidate. Furthermore, it’s good to maintain those accounts in case you ever lose a job. It will come in handy as a backup plan.